With our custom machine shop and fabrication department geared solely for the cooling system industry, we can build complete, customized cooling system packages tailored to fit our customers’ needs in any climate or industry. 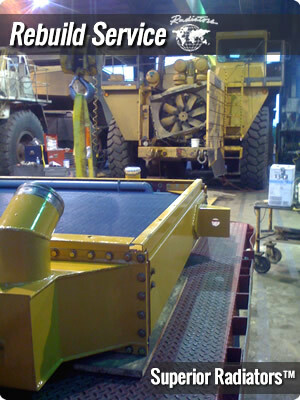 From the frigid oil fields of Alaska, the coal mines in Siberia, the geothermal wells in the Mojave desert, and the underground mines in the Australian Outback, we can build and rebuild the applicable system for your machines. We realize that lost time from down equipment equals lost production and lost money. 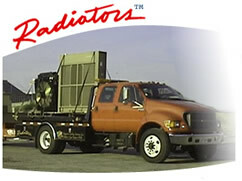 Therefore, our exchange groups allow us to have the rebuilt radiator you need when you need it, wherever you need it. Superior Cooling operates the largest and most efficient exchange service in the industry. Call us today! Our Service Center operates 24 hours a day, 7 days a week, 365 days a year. Working with our exchange department, our Service Center can minimize your down time to hours or days, instead of weeks. On the road, in the mountains, in the desert or wherever. We are there to provide the support you need. This means better service for you, our valued customer. See us at our service department in Dallas, Texas or our manufacturing center in Las Vegas, Nevada. Superior Cooling also operates a nationwide network of distribution warehouses for new complete radiators. Chance are, you’re just minutes away from receiving the radiator and parts you need. Our technical staff analyzes each cooling system group in detail by breaking it down into system components, determining the cause of failure and submitting a full written report to the customer if requested. 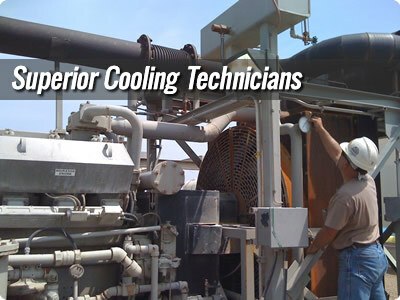 Our service technicians endure rigorous hours of training while supervised by a senior technician with decades of experience in heavy equipment cooling systems and industrial radiators. This training equips our technicians to provide outstanding service. Our field service technicians are equipped to make all field repairs, and are fully capable of removing and re-installing cooling systems on all makes and models of heavy equipment in the field. We offer a scheduled coolant sampling program to our customers. Our field service technicians can come to your job site and draw coolant or source water samples for laboratory analysis. A written report is prepared and submitted to the customer.